Without tweeters, the sound system of a car is just incomplete. Tweeters are always best to install as they are the drivers which are very important in managing different frequencies along with other drivers. Itself it is responsible for producing the high frequencies which will make the sound system loud as your desire as well as melodious too. Tweeters can also work in collaboration with the woofers that are responsible of generating the low frequencies or bass and when both of these works together they manage the frequencies in a good way and enhance the sound system of your car, more. For this article, we reached out to our friends at HowStereo.com. These fellows are just amazing at their work. The tweeters that come separately with speakers and works in conjunction or collaboration with them are called as component speakers and they are best for the sound production because they work in collaboration with the tweeters managing the frequency and providing the suspension too. Most of all, you can listen to the treble by the tweeters installed at a location by your own choice. Tweeters attached on speakers are the coaxial speakers. In these speakers you do not have to install the tweeters separately and also the space utilization is much more reduced on them but many people install tweeters separately as the separate installation of the tweeters has its own importance and sound effect but Here I will mainly focus on how to install tweeters to head unit and this can only be done when you install the tweeters separately and then you have to connect them with the head unit. Installing tweeters is always very important as they are an obligatory part of proper and complete audio system and you will definitely understand its importance when you experience to listen to the music without the high notes. You will come to know that how much the tweeters are essential in a sound system, in fact, they are an essential part of a sound system. If you really want to improve the sound system in your car then you have to install a set of tweeters. So stay with me and read how to install tweeters to head unit. So let me tell you step by step that how you can install the tweeters to the head unit. Now install the tweeter in the dashboard of the car. You will require some nuts and bolts for this purpose but make sure that the connections should be tight enough so that it may not cause any problem. Because without ensuring the proper right connections, the correct installation is not done. 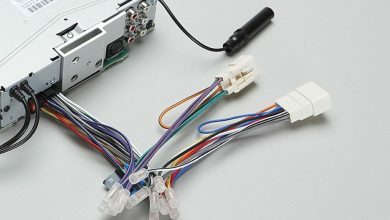 After that, you have to connect the wire of the tweeters with the head unit wire with the help of the connector or better you can do the soldering and make the connection super strong. You have to make sure here that the polarities of the wires are correct otherwise incorrect connection can cause a short circuit and you all know this very well. After mounting the tweeters and making their connection with the car’s head unit, you are just done. Now turn the power source on and use the sound system of your car. Tweeters will make you able to listen and feel the treble that you will just love. If you are using the component speakers, then you will have all the things available in a single box. Either you can buy the tweeters only if you have the best speakers in your car but if you do not have the tweeters and the good speakers than you can also buy a full package, a component speaker which has all the drivers or crossovers with them that are to be installed separately. Although it is a dedicated article related to tweeters installation let me tell you that you can install the woofers for the management of low frequencies too. As tweeters are best in the production of high frequencies and the woofer produces the lower frequencies very well. So in case, you are installing component speakers then you have to do the same procedure that I have told you step by step with the addition of a woofer. You just have to connect the high-frequency wire to the tweeter as well as the low-frequency wire with the woofer and connect them to the head unit. Turn on the power source and use the head unit of your car by playing the lovely songs on it. The tweeters will manage the high-frequency notes and woofer will manage the low frequencies and in the result, you will be able to listen to the best frequency managed a sound that will make your listening experience much better than ever before. Installing tweeters in any other place block the frequencies or create a little bit distorted frequencies that when came to your ears it disturbs the crisp and the worth of the sound but if you install them in head unit, a clear audible frequency will come to you directly and spread in the whole car smoothly through which everyone in the car will be able to listen a clear, loud and worthy music sound with the clear treble that will make your inner energetic. I hope you will now have a better understanding of How to Install Tweeters to Head Unit. 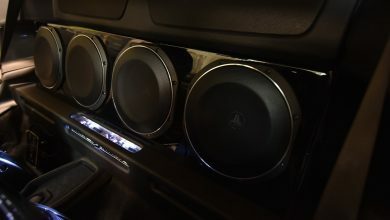 I dedicatedly wrote this article about How to Install Tweeters to Head Unit, to answer your most asked question how to install tweeters to head unit. When my father bought me a new car on my birthday I was overjoyed, it’s each and everything was just perfect and awesome. I want to go to a long drive with my friends and I was excited about it. So I think about that long drive fun that was going to happen and suddenly I came a thought that what about the sound system of my new car and I started checking it. I turned the sound system of my car ON and the speakers were good but the sound system was not of my type because I want to listen to a loud sound with treble so that when me and my friends will go on a long drive than my car’s sound system would not let me down and play a loud, melodious and worthy sound with treble that would keep us energy throughout the journey. But the treble was not there and the main reason was only that the tweeters were not installed in my car. I quickly started searching this on the internet but I found extreme less and confusing content on this topic that was incomplete also. So, I was worried that what I could do now. One of my close friends helped me for this as he knew a lot about the installation of each and every component in-car sound system and he is an expert. So he guided me what to do. I was thinking of installing the tweeters in the car’s door but he told me the benefits of installing tweeters in the head unit of the car and he guided me a lot and shared his personal experience with me. Finally, I get to know all about this and successfully installed the tweeters in the head unit and finally I got what I want, the treble. It was sound excellent and adjusted the volume tuning and still, I am enjoying those installed tweeters and that day I thought that I would help other people regarding this topic so that you people might not face any problems as I faced. So just because of installing tweeters in the head unit, the long drive with my friends gone super exciting and we did a lot of fun. So I have given a complete and enough guide about this topic in simple and easy words so that you can easily install the tweeters in your car’s head unit without any difficulty. 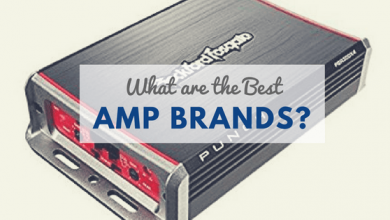 So read this article carefully and give it a complete and sincere view if you truly want your car sound system to be best so that you can hear your favorite music in a much better and improved way. I hope that you have understood all the things and have cleared your mind regarding this topic, How to Install Tweeters to Head Unit. Once you read this complete article carefully then you can easily install the tweeters just now. So guys what are you waiting for, go and take the tweeters for your car and by seeking guidance from this detailed article, install them in your car now to fill your car with life. Feel free to contact me if you have any questions about Installing Tweeters to Head Unit. This article is dedicated to Robin, who is the love of my life. How to Connect Laptop to Car Stereo? 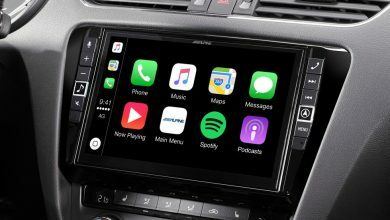 Does my Car Support CarPlay?